Facebook has filed its S-1 form with the US Securities and Exchange Commission (SEC), announcing its intention to go public. The stock ticker symbol will be FB. No starting price has yet been named, but Facebook did say in the filing it expects to raise US$5bn in the initial public offering (IPO). The transaction may leave the company valued between between $75bn and $100bn. Facebook currently claims 845m active monthly users, with a fairly even breakdown between markets in North America, Asia, Europe and South America/Africa (with the latter two regions considered as a whole). The site claims 483m daily active users, and the S-1 says Facebook also has 425m mobile monthly active users. Financial firms Morgan Stanley, JP Morgan, Goldman Sachs, Merrill Lynch, Barclays and Allen & Company are named on the S-1 as underwriters for the deal, with Ernst & Young acting as an auditing and accounting expert. Zuckerberg still holds the majority of the company’s voting power; in other words, he is the single largest shareholder. “Mr Zuckerberg will be able to effectively control all matters submitted to our stockholders for a vote, as well as the overall management and direction of our company,” reads the form. And other high-profile shareholders have arranged to vote as directed by the CEO. “Under one type of voting agreement, stockholders agreed to vote all of their shares as directed by, and granted an irrevocable proxy to, Mr Zuckerberg at his discretion on all matters.” These parties include but are not limited to Founders Fund, co-founder Dustin Moskovitz, early employee Sean Parker, and a handful of others. Altogether, Facebook now has more than 3 200 employees — a 50% increase year-over-year — the form says. 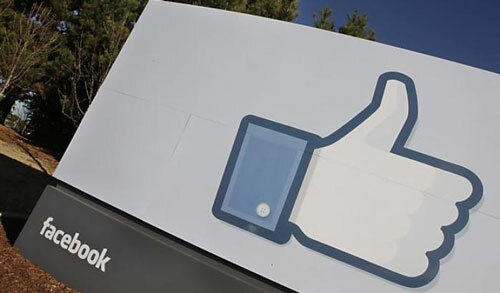 Facebook employees and other shareholders are prohibited from selling stock for a period of three months, half the usual six-month lockup period. Zuckerberg is being held back from selling for a six-month period. Zuckerberg’s salary is $500 000/year; it will go down to $1 beginning in January 2013, a common move by CEOs for tax purposes (Steve Jobs also received a $1 annual salary). Other prominent Facebook executives, including Sheryl Sandberg, make between $275 000 and $300 000 in base salary. The company has taken nearly $2,5bn in institutional funding since its founding in 2004. Its revenue last year totalled $3,7bn, according to the filing — less than the $4bn-plus figures anticipated by many analysts. Net losses for 2011 stood at an even $1bn.